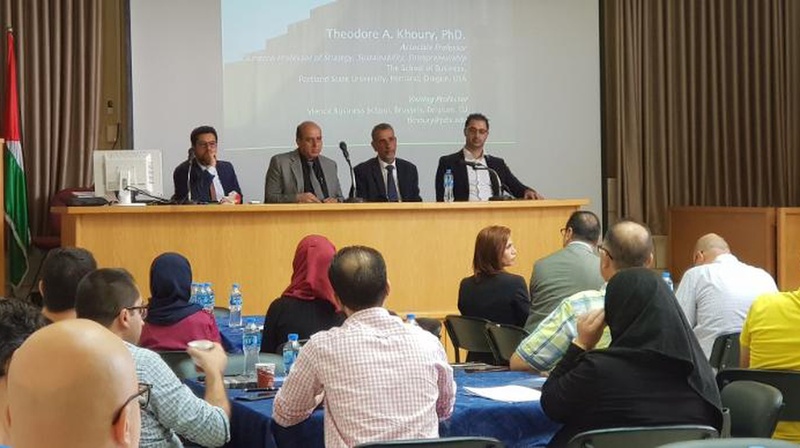 The International Development and External Affairs Office (IDEA) and Project Management Unit of An-Najah National University in cooperation with the National Erasmus+ Office in Palestine organized the "Entrepreneurial Universities: An Approach to Renovate Palestinian Universities" workshop. The workshop was over two days from September 5 – September 6, 2018 and took place at the Korean Palestinian IT Institute of Excellence in the New Campus. The project, which aims to enhance the capacity of Palestinian universities, provides an appropriate environment paving the way to transform entrepreneurial ideas into startup projects. In the first day, the workshop hosted a European expert to talk about employing entrepreneurship in study plans and university teaching techniques with the attendance of a number of An-Najah academic staff members. The second day included discussion on integrating public and private institutions and institutions of higher education with regards to entrepreneurship. The workshop was attended by Dr. Mohammed Al-Subu', Deputy President for Planning, Development and Quality Assurance, Dr. Nidal Jayousi, Director of National Erasmus+ Office in Palestine, Dr. Mohammed Najjar, Director of the Project Management Unit and Dr. Theodore Khoury, an Associate Professor of Management and Strategy at Portland State University and representatives of the Palestinian Ministry of National Economy, the Ministry of Labour, the Ministry of Higher Education, business incubators, Palestinian universities, civil society organizations, AMIDEAST and the British Council as well as members of An-Najah's academic and administrative bodies. In the opening speech, Dr. Subu' welcomed the attendees and conveyed the greetings of Professor Maher Natsheh, Acting President of An-Najah. 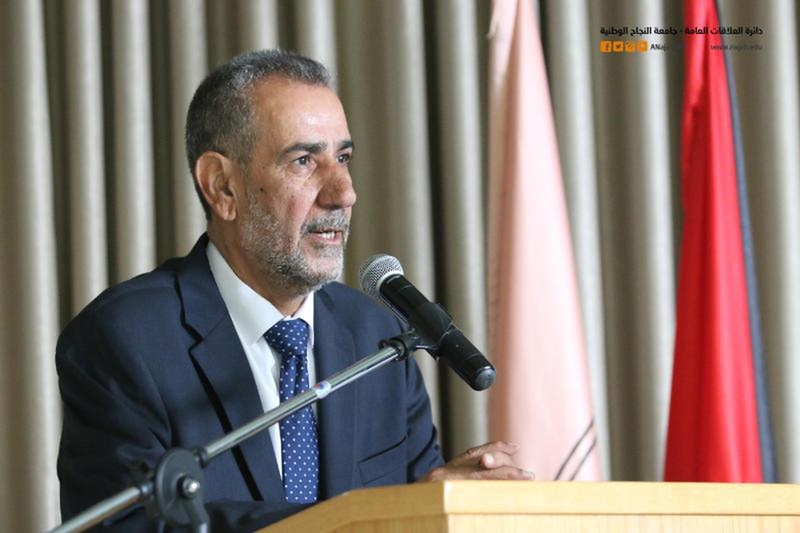 He stressed the importance of employing entrepreneurship in universities as unemployment rates increase in Palestine, pointing out that innovation and entrepreneurship have become integral parts of college education strategies. 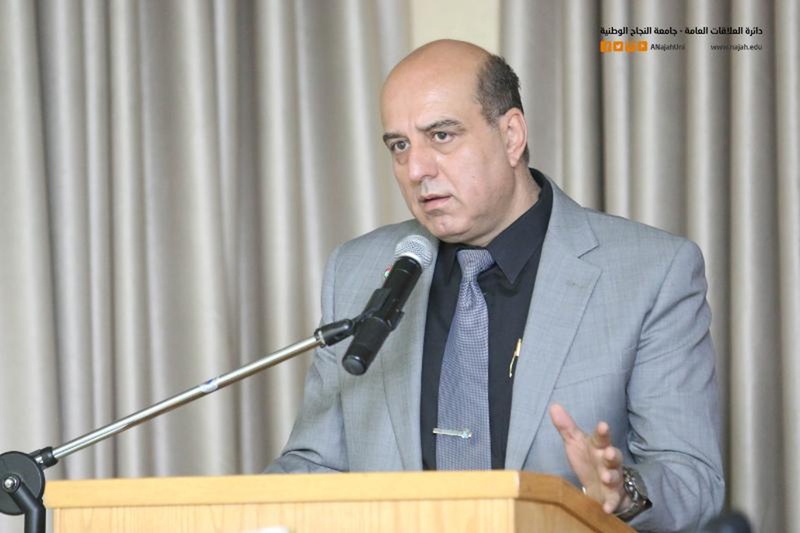 Dr. Jayousi talked about a number of projects carried out by Erasmus+ Office in Palestine and stressed the importance of the cooperation between Erasmus+ Office and An-Najah. He also discussed the importance of entrepreneurship and innovation that should be integrated in universities strategic plans. 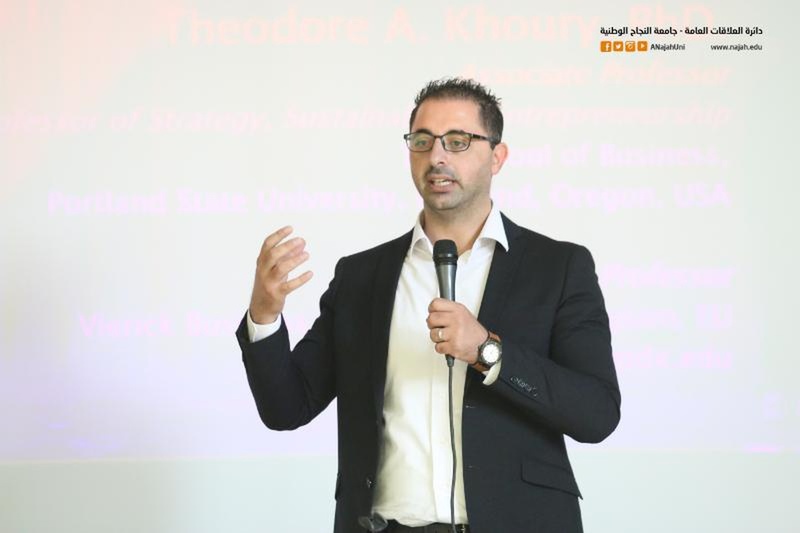 Dr. Khoury gave a presentation on development of entrepreneurship culture in Palestine and the role of Palestinian universities in promoting it. The presentation shed light on other important issues such as global trends in business entrepreneurship and elements of ecological systems theory. Dr. Khoury also gave another presentation on employing entrepreneurship into education curricula. The workshop resulted in a number of important recommendations regarding employment of entrepreneurship in Palestinian universities and setting mechanisms to overcome future challenges. The project will complete its phases by exposing Palestinian youth to entrepreneurship, educating them about its importance to change the stereotyped image they have about this topic and then developing their capacity building skills to establish their own startups.